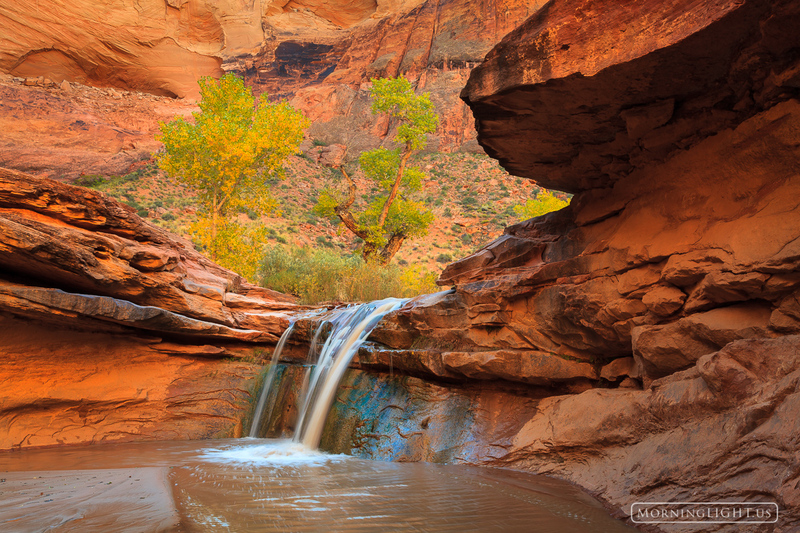 A small waterfalls lies hundreds of feet down at the bottom of a canyon in the middle of Utah Desert. This stream creates a beautiful little oasis with lots of vegetation including large cottonwood trees which turn a brilliant yellow during the autumn months. Photo © copyright by Erik Stensland.